← International Judicial Institutions and Global Trade Disputes — Some Favorable Developments. The Changing Role of Trade in the Changing International System. ….. A novel trade action was filed recently by Solar World Americas with the U.S. Dept. of Commerce asking for higher tariffs on imports of solar panels from China. This action is intended to counter the Chinese government’s hacking and theft of trade secrets from it. This is an attempt by a private firm to use trade tools to counter official Chinese government economic cyberespionage. “U.S. Tariffs and Chinese Cyber Spying.” New York Times (Sept. 1, 2014). …..This program concerning cybersecurity start-ups is only one of several initiatives in Virginia concerning cybersecurity and economic development. This is based in the Center for Innovative Technology (CIT). Earlier this year the Virginia Economic Development (VEDP) supported a study promoting cybersecurity exports as part of Virginia’s new Global Defense Initiative. “Virginia Accelerator and Cybersecurity Companies.” Washington Post (Sept. 1, 2014). ….. The international order faces a paradox: Prosperity is dependent on the success of globalization. However, it produces a reaction that works counter to it. A new order is emerging. But its shape and the U.S. role is still uncertain. “Kissinger on the New World Order.” Wall Street Journal (August 30, 2014). ….. I agree that investment needs are staggering for infrastructure in the developing world. But I would also add the same is true for developed economies, especially for the U.S. There is a desperate need for an upgrade in both policies and institutions on the state, federal and international levels. “Martin Wolfe — The Shifts and the Shocks.” Financial Times (August 30, 2014). ….. Trade is often thought of as limiting potential military conflict between trading partners. But is this true? 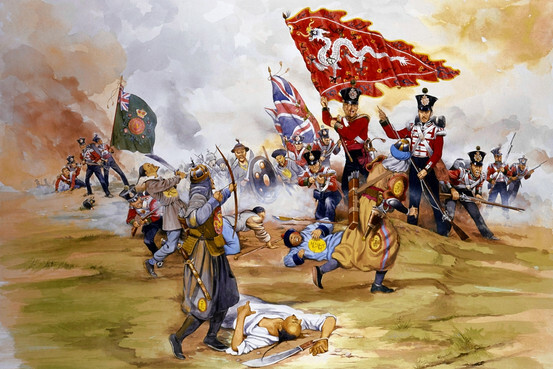 The opium trade clearly led to a bitter war between the British and China. The Opium War of the mid-19th century was sparked by China’s restrictions on the import of opium by the British from India. The British considered the war as ‘Just.’ The Chinese viewed the resulting treaties as unequal, imposed, and illegal. So what are the lessons for today? Two lessons. One, the impact of trade depends on what type of trade. Two, trade is not a panacea for peaceful relations. “Opium War and Trade.” Wall Street Journal (August 29, 2014). ….. Aligning the ‘new Virginia economy’ with the ‘global marketplace’ is the challenge that Virginia’s new Strategic Planning Committee faces. We need to get this right. It’s critical for the economic development of Virginia especially given the huge shortfalls we are having in the budget. “The New Virginia Economy and the Global Marketplace.” Virginia Governor News Release. (August 27, 2014). ….. Three really good points about local and state leaders leveraging foreign students to promote global trade and investment. This is an untapped strategy for state and local economic development. Public universities have a significant role to play in this process. Sooner the better. 1. Foreign students are a growing economic force in the United States, with huge potential to increase jobs and investment. 2. Local and state leaders should leverage foreign student connections with their home communities abroad to facilitate and deepen economic exchange with large foreign markets. 3. It’s time for local and state leaders to become truly global by realizing that foreign students studying in their regions are economic ambassadors connecting U.S. local economies to communities and networks around the globe. ….. “Foreign Students and D.C. as a Global City.” Washington Post (August 29, 2914). For the full Brookings report see “Geography of Foreign Students in the U.S.” (August 29, 2014). This entry was posted in Global Trade Relations and tagged changing global trade and changing international political system, cybersecurity and trade, economic cyber espionage and tariffs, Henry Kissenger, Martin Wolfe, Opium Wars and trade, sforeign students and trade promotion, sub-national units (states) and global trade. Bookmark the permalink.